How an entire community has turned their back on this established gospel maven. 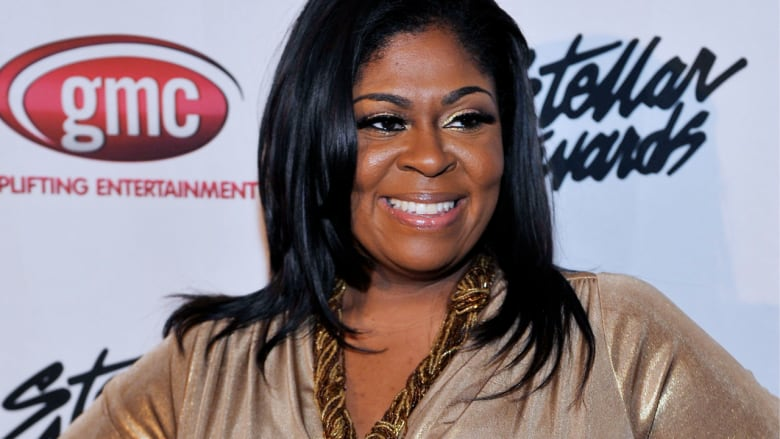 When it comes to Kim Burrell's viral anti-gay rant, is it too late now to say sorry? The answer is yes. Today the gospel singer's top suggested YouTube search is "Kim Burrell Sermon". Sorry Kim, the algorithms have spoken. Your scandal has officially eclipsed your career. If you don't feel like watching the Word of Kim, here's the highlight reel. "Everybody in this room who's filled with the homosexual spirit, beg God to free you,"
"That perverted homosexual spirit is a spirit of delusion and confusion and has deceived many men and women, and it has caused a strain on the body of Christ." She's right. Christ's body has been through a lot already, we shouldn't be straining it. However, I think it's the "perverted homosexual" part that has everyone up in arms. Kim was on top of her game until this happened. Her profile got a major boost when she teamed up with Pharrell for the lead track "I See a Victory" from the film Hidden Figures. What a rousing anthem! Harvey Milk would have loved it. Oh, did I mention she also collaborated with Frank Ocean? You know, the Frank Ocean with the homosexual spirit? I guess her gaydar is broken. This association with popular culture is ironically where Kim's downfall comes. There is undoubtedly an audience for what Kim is saying, both inside and outside of the Church. The problem is that outside of that bubble, in an increasingly secular and progressive society, homophobia has no place. That society is where Hollywood resides, and her moralistic fumble put all the stars associated with her at risk. These days, they are obligated to speak out and denounce the comments and Kim herself, lest they be lumped in with her by association. Pharrell dropped the first bomb. Hidden Figures stars Octavia Spencer and Janelle Monae followed suit by reposting the image and adding their own repudiation. Hate is a strong word. In Hollywood this kind of response is the equivalent to being labeled a suppressive person in Scientology (A.K.A. everyone stay the eff away from this person). Kim's response was the opposite of what any PR specialist would tell you. She doubled down with what can only be described as an asinine response. "I never said God was killing gays in 2017. I said people who operate with that spirit in the church, with deception and attached themselves, are going to have to face the master. That's what I said, and death is attached to their behavior." The video was first posted to her Facebook page. It has since been removed. Probably because the response to her response was, predictably, more social media outrage. Today though, the knockout blow came. Unfortunately for Kim, she was scheduled to perform with Pharrell on Ellen this week, shortly before the scandal broke… and Ellen is a powerhouse. Not only is she one of the most powerful gay voices in the world she is one of the most powerful voices in Hollywood and she isn't having any of it. First she tweeted that Kim would not be performing on the show. Today she gave her explanation with Pharrell. "As someone who has received a lot of hate and prejudice and discrimination because of who I choose to love… I just don't understand anyone who has received that kind of oppression or anything like that… It only gives me more compassion it only gives me more empathy. I don't want anyone to feel hurt because they are different." What she said without saying it is that Kim Burrell should be ashamed not just as a human being, but as a minority. It's not a far stretch to assume that as a black woman in the United States Kim has endured racism and discrimination. This fact makes her sins against the gay community seem even more heinous. How does it go again? Do unto others as you would have them do unto you? So, I'm afraid it's too late Kim. You stepped out of your box into the broader world but you didn't get the memo. The zeitgeist has shifted to a degree that your beliefs are no longer acceptable. In there, your statements are righteous. Out here they are hate speech. Don't get me wrong Kim, you will always have an audience but it's not going to be what you've had a taste of. Pharrell, Ellen and Frank Ocean won't be calling. Keep this up and your singing career will be eclipsed by your ever-growing status as one of history's monsters. Ryan E. Thompson is a Toronto based television producer and writer specializing in LGBT issues and entertainment.